Working with 743 pre-service teachers from Turkey, the present study examined the relationships between beliefs about the teaching profession, curriculum orientations, and sense of personal responsibility, with the intention of exploring the mediating roles of curriculum orientations. Latent-factor correlation analysis and structural equation modelling analyses were conducted to analyse the data. The results showed that beliefs about expertise and difficulty in the teaching profession were significantly related to curriculum orientations. The results also demonstrated that humanistic and social reconstruction curriculum orientations played mediating roles in the relationships between beliefs about the teaching profession (i.e., expertise and difficulty) and sense of personal responsibility for student achievement and relationships with students. 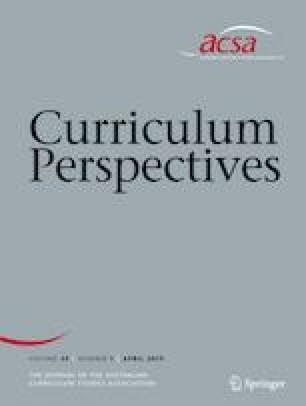 The results suggest that pre-service teachers’ beliefs about the teaching profession, curriculum orientations, and sense of personal responsibility for the diverse and challenging aspects of the teaching profession should be interpreted based on the mediating roles of their curriculum orientations. Do you think teaching requires high levels of expert knowledge? Do you think teachers have a heavy workload? Do you believe teaching is perceived as a high-status occupation? Do you think teaching is well paid? Were you encouraged to pursue careers other than teaching? Herman, J. L. (2007). Accountability and assessment: Is public interest in K-12 education being served? (CRESST Report 728). Los Angeles, CA: National Center for Research on Evaluation, Standards, and Student Testing (CRESST). Retrieved June 10, 2015 from http://www.eric.ed.gov/PDFS/ED499421.pdf.